Head of Tzohar organization slams report alleging that a burial society is refusing to bury homosexual individuals. 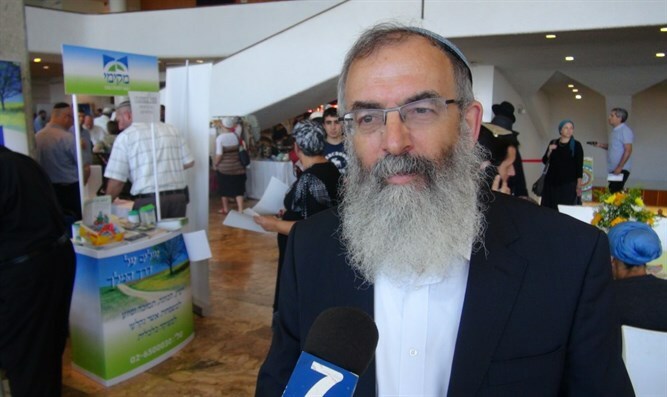 Rabbi David Stav, the chairman of the Tzohar religious organization, responded to an investigative report by Channel 2 alleging that a Hevra Kadisha (burial society, ed.) refuses to bury homosexual individuals. Homosexual relations are expressly forbidden in the Torah and termed a toeva, meaning abomination. "According to Jewish law, there is no difference between the various commandments." he said. "If the investigation is accurate and the burial society is refusing to bury the dead based on their sexual orientation...then they are acting incorrectly and with contempt for the dead." The investigation by Channel 2 revealed a recording of a phone conversation with a representative of a Hevra Kadisha in which the representative explained why homosexuals do not deserve to buried the same way as everyone else. "If you have the opportunity to bury him elsewhere, it is preferable." the representative said to a grieving family, adding that to bury the homosexual individual in a different location would "avoid aggravation." A representative from the Hevra Kadisha in Netivot responded to inquiries by saying "The problem is that we can not be responsible for what happens at a funeral," possibly to demonstrations that might break out against the deceased. A family in the northern town of Atlit was told to look for an alternative burial plot in Haifa. Another representative of the Hevra Kadisha in Kiryat Motzkin, another town near Haifa, said that homosexual couples could not purchase double plots to be buried together. "If there is no wife then I can't give out a place that is meant for a family, for a husband and wife. We follow halakha [Jewish law]." Judaism does not accept the possibility that homosexual partnership is marriage, defined in halakha as the relationship between man and wife.